It has been previously demonstrated that hydrogen sulfide (H2S) prevents formaldehyde (FA)-induced neurotoxicity. However, the exact mechanisms underlying this protection remain to be fully elucidated. Neuronal senescence is involved in FA-induced neurotoxicity. Leptin signaling has anti-aging function. The present work was to investigate the protection of H2S against FA-induced neuronal senescence and the mediatory role of leptin signaling. FA-exposed HT-22 cells were used as the vitro model of FA-induced neuronal senescence. The senescence-associated β-galactosidase (SA-β-Gal) positive cell was detected by β-galactosidase staining. The expressions of P16INK4a, P21CIP1, leptin, and lepRb (leptin receptor) were measured by western blot. The proliferation, viability, and apoptosis of cells were evaluated by Trypan blue exclusion assay, Cell Counting Kit-8 (CCK-8) assay, and Flow cytometry analysis, respectively. We found that H2S suppressed FA-induced senescence, as evidenced by the decrease in SA-β-Gal positive cells, the downregulations of P16INK4a and P21CIP1, as well as decrease in cell growth arrest, in HT-22 cells. Also, H2S upregulated the expressions of leptin and lepRb in FA-exposed HT-22 cells. 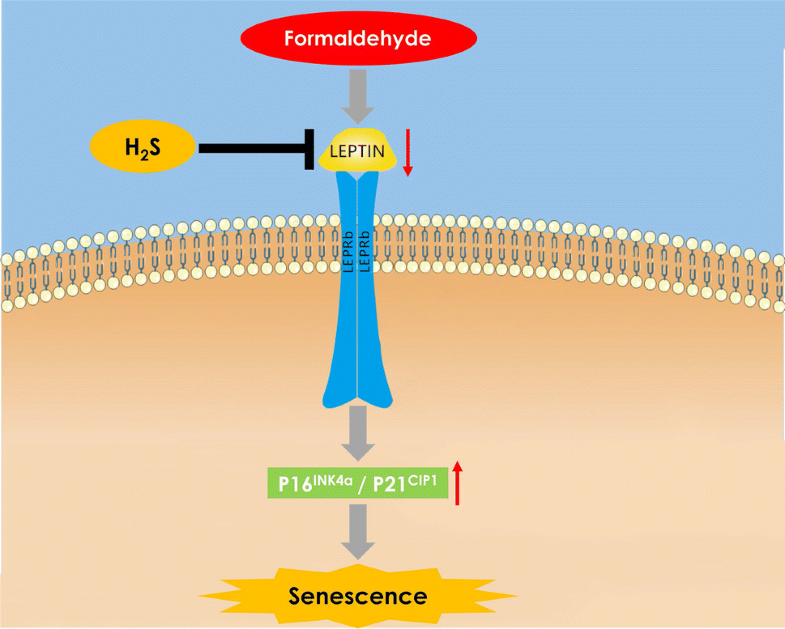 Furthermore, leptin tA (a specific inhibitor of the leptin) abolished the protective effects of H2S on FA-induced senescence and neurotoxicity (as evidenced by the increase in cell viability and the decrease in cell apoptosis) in HT-22 cells. 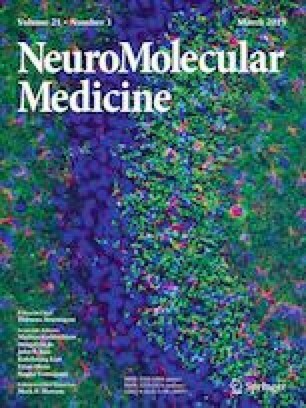 These results indicated that H2S prevents FA-induced neuronal senescence via upregulation of leptin signaling. Our findings offer a novel insight into the mechanisms underlying the protection of H2S against FA-induced neurotoxicity. FA upregulates the expressions of P16INK4a and P21CIP1 via inhibiting leptin signaling, which in turn induces senescence in HT-22 cells; H2S downregulates the expressions of P16INK4a and P21CIP1 via reversing FA-downregulated leptin signaling, which in turn prevents FA-induced senescence in HT-22 cells. Wei-Wen Zhu, Min Ning, and Yi-Zhu Peng have contributed equally to this work. This study is supported by Natural Science Foundation of China (81671057), the Major Research Topics of the Health and Family Planning Commission of Hunan province (A2017011), Hunan Provincial Innovation Foundation for Postgraduate (CX2017B570, CX2018B619) and Postgraduate Research Innovation Foundation of University of South China (2018KYZ048).